The death of Neil Armstrong has, rightly, caused a certain amount of introspection around the world. Although I was a very small child, I can remember the Apollo Missions quite clearly, and apart from the amazing technical achievement, the thing I remember most was the sense of anticipation- that the Moon landings were not merely valuable for themselves, but that they marked a whole new era of manned space exploration. Each mission carried more and did more and for longer. It seemed that it would be a very short time before humans were permanently on the Moon, and the Sci-Fi world of Space 1999 or even Thunderbirds was not a fantasy, but was simply waiting for us just around the corner. If Man (as we used to call humanity) could get to the Moon "before this decade is out", then surely Man would be on Mars before the century ended. Our culture, from David Bowie to Brian Aldiss was steeped in the imagery of a future in space. Aliens existed- they appeared in Star Trek every week. Indeed so dramatic and beautiful was the world of science fiction, that even the spectacular sights and achievements of the Space program were somewhat overshadowed. 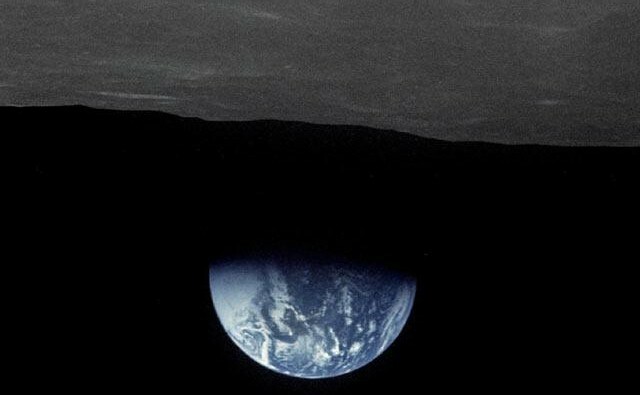 Yet the 12 Astronauts who walked on the Moon and the six who piloted the command modules in lunar orbit, together with the crews of Apollo 8, 10 and 13 who circled the Moon but who, for different reasons, did not land are the only humans who have seen the whole disc of the earth with their own eyes. The astonishing pictures they brought back not only told us about Space, they told us about Earth. Apollo was and remains an inspiring and magnificent achievement. In the middle of the adulation stood the taciturn figure of Neil Armstrong. He brought a steely professionalism and a dour Scottish sense to the Moon, and if others found themselves changed by the experience, his resistance to such change seems to have been largely successful. Latterly he became a Professor of Engineering and although he was for much of his life probably the most famous man alive, he rejected all trappings of celebrity. He was and remained to the end of his days a proud "geek". Armstrong recognized that Apollo was not about the Astronauts who made the small steps on the Moon, but about the whole of humanity that had chosen to make the giant leap into space. Unassuming, thoughtful and very shy, he represented the kind of hero- a word he abhorred about himself- that actually makes an achievement, rather than those who claim the false god of celebrity adulation. Of course in the end the kind of space age that we anticipated 40 years ago has not come to pass. Compared to Apollo, the Space Shuttle was a hugely expensive failure, and the political leadership that funded the Space program lost their sense of vision and adventure as the optimism of the 1960s hit the quagmire of the 1970s. The optimism of the pre-Watergate generation has been crushed by a cynicism so all pervading that some genuinely believe that Apollo was faked- even though they can see with a telescope with sufficient magnification the tracks, footsteps and debris left on the Moon by the brave men who went there. Now there are only eight men alive who have walked on the surface of the Moon. From Buzz Aldrin of Apollo 11, Alan Bean of Apollo 12, Ed Mitchell of Apollo 14, Dave Scott of Apollo 15, John Young and Charlie Duke of Apollo 16 to Jack Schmitt and Gene Cernan of Apollo 17, we should treasure these pioneers. Soon there will be none to recall that single bright moment. Yet, eventually, the will and the technology of new individuals will match the imagination that took us to the Sea of Tranquility and beyond. Then we will truly be able to appreciate how remarkable the Apollo Program was, and what remarkable men were chosen to leave our planet for the first time.